Ian Walker, double Olympic silver medalist and winning skipper of the Volvo Ocean Race, is now Director of Racing & Performance for the Royal Yachting Association, responsible for the British Sailing Team to represent Team GB in Tokyo 2020. 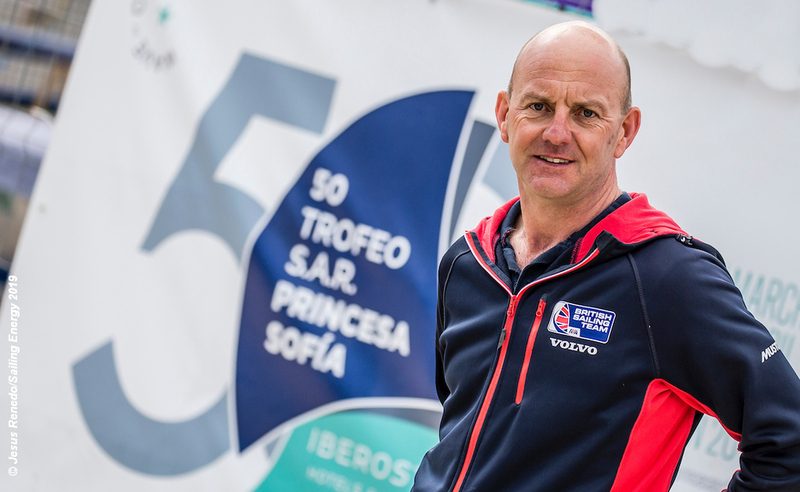 In an interview with Tip & Shaft Newsletter at the 50th Trofeo Princesa Sofia Iberostar in Palma, where the British Sailing Team picked up eight medals, more than twice that of any other nation, Walker discusses the health of the sport and the recent Olympic classes selections. What are your views on Olympic classes selection? Before you talk about the classes the first thing you have to talk about is the process. What is clear over the last few years is that the process within World Sailing has been flawed. There has to be a complete review of their governance, which is going on and how they make decisions . . . in everything. I am pleased to see that happening. What we do see is a lot of work going on by experts, and small groups analysing what is right and recommendations about what is right being put through committees. And then we see those decisions reversed or undermined by people who are less experienced or driven by self interest. It is politics. So a bit like Brexit then? Well there are some similarities. Similarly chaotic. I think World Sailing are having a look at how they make their decisions and that will help. But one of the problems is that nearly everyone has a vested interest. People on committees work for a nation or class association or a manufacturer. I am not saying they all are solely driven by that but in a small, niche, expert sport you almost can’t help that. But one of the similarities with Brexit is there is too much fake news. People did not know how much to trust what may or may not happen from the IOC. So the IOC talk to World Sailing and World Sailing tell everybody what they say, and you can read from their agenda 2020 and you can infer what may or may not happen in the future, if sailing does not become gender equal or appeal to the younger generation, is that a deal breaker or not? Well that affects everything that comes afterwards. If it is not a deal breaker then it is OK to have the Finn and not have another female boat to match it. But if it is a deal breaker we don’t even have to have that discussion. Is that an IOC or World Sailing problem then? As an example if the IOC President had turned up at the World Sailing meeting and said . . . ‘it is really important you do this, this and this’, then that would have carried a lot of weight. So there are too many rumours and so much fake news after the event. All the clamour about the Finn being ousted at the November meeting was utter rubbish. It was effectively knocked out in May. In the end we were keen not to maintain the current slate of events because we believe the sport could be at risk if we don’t respond to what the IOC seem to be saying. Is it hard to balance your gut feelings and sailor with your role and responsibilities as Director of Racing at the RYA? Honestly I think we at the RYA are quite good at stepping back and taking the bigger picture. Our absolute priority was to protect the Finn, by self interest as we seem to win a lot. But as it became apparent there was no way of saving the Finn without putting the sport at risk for not being gender equal we changed our focus to what was best for the sport in the eyes of the IOC. Do you get frustrated that the sport is dragged in particular directions to follow the quest for media profile? Are we always in search of the holy grail in making the sport media friendly? I don’t know to be honest. I think it is an absolute travesty that we don’t have a class for heavier people. That is on the record. We should have tried much harder in May to find a way of saving the class. But the offshore mixed keelboat fits that role (for heavier sailors as well)? It easy to say that. Too easy. But how easy is it on a keelboat if you are six foot three and a 100kgs to leap about? We don’t really know and won’t until we know the boat. I suspect you will be able to be any size but it might not be accessible financially. I think there should have been more effort put in to find solutions which kept the Finn and which gave us gender equity.